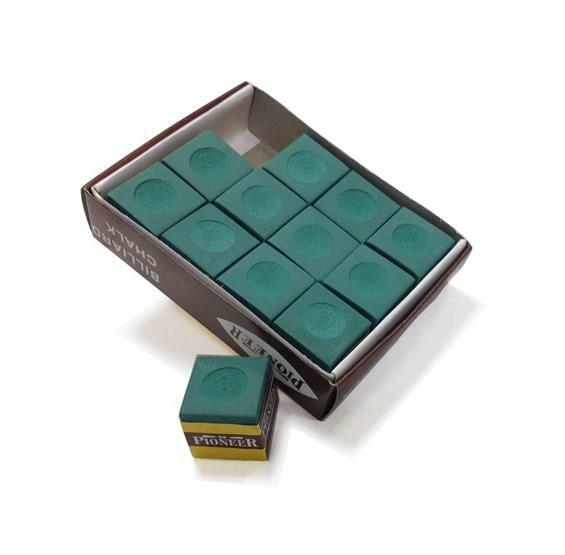 This premium grade Billiards Cue Chalk is formulated to give your pool cue tips the grip you desire. This premium grade Billiards Cue Chalk is formulated to give your pool cue tips the grip you desire. This chalk coats well and goes on smoothly for better ball spin. Save miss-cues allowing yourself to apply strategic English when needed to make even the most difficult of shots. One dozen chalk cubes will last and last. Color: Green.